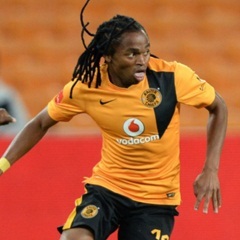 Cape Town - Kaizer Chiefs coach Stuart Baxter was particularly impressed by the contribution of Siphiwe Tshabalala during the Soweto Derby against Orlando Pirates at the weekend. In the aftermath of that fixture, the general sentiment from all relevant parties has been that Chiefs were too passive during the first stanza. However, that was remedied in the second 45 minutes and Baxter thinks that Tshabalala’s influence played a significant role. "Shabba was playing too deep in the first half and, as a result of this, he struggled to get upfront quick enough during the transition," said Baxter. “He became more aggressive in the second half, doing great. “Shabba is a fine player and if he does what he did today in the second half, he’s very difficult to play against," added Baxter, who remains confident about Chiefs’ prospects of securing the title this season, primarily because of the calibre of players that he does have at his disposal.